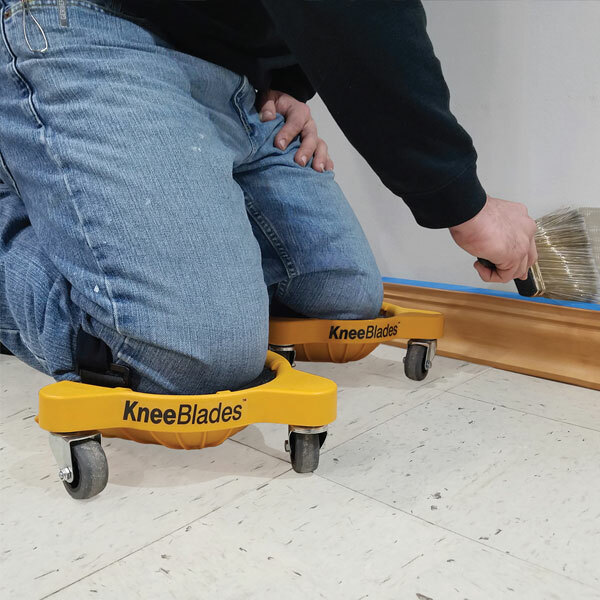 KneeBlades are designed for any job where you are required to be on your knees. 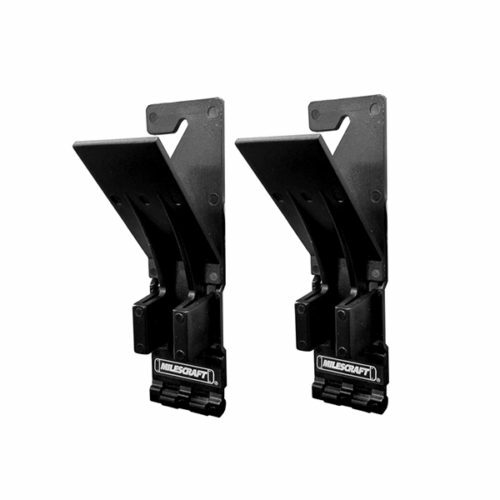 High-quality KneeBlades allow for more balance, flexibility, and mobility. 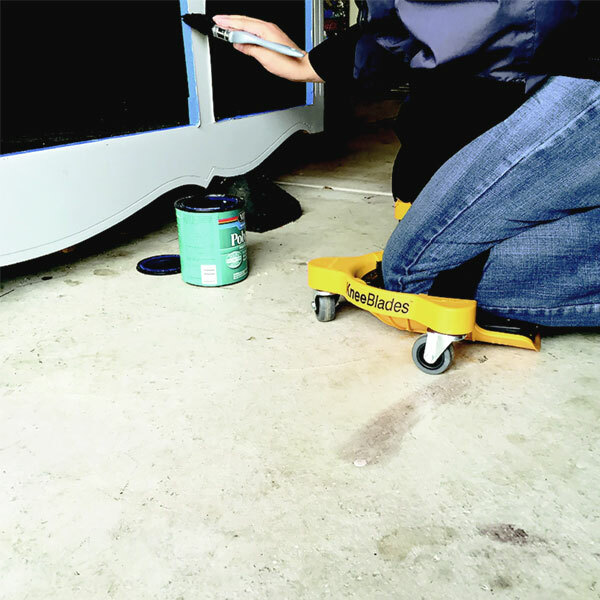 The three-wheeled mobile base allows for full 360-degree turning capability, without lifting from the floor. 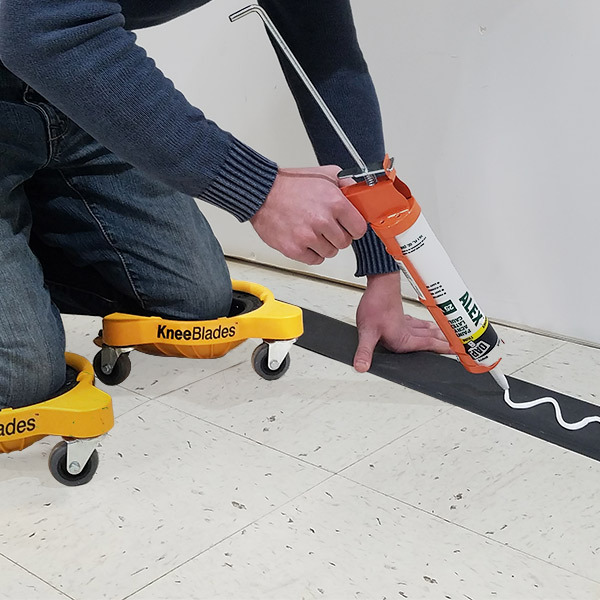 Close to the ground knee roller design minimizes back stress. 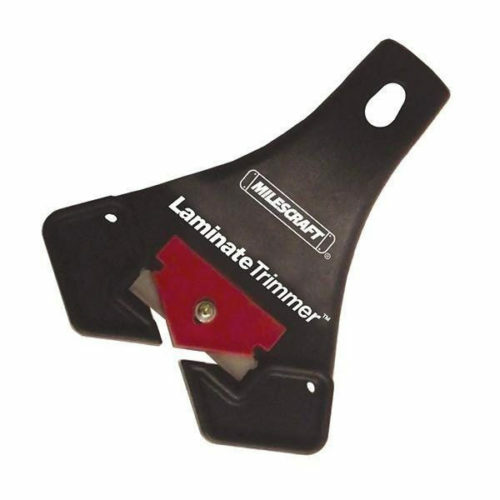 With the push of a button, you can go from Knee Blade to knee pad. In the box you will find a pair of gel knee pads on the wheels. 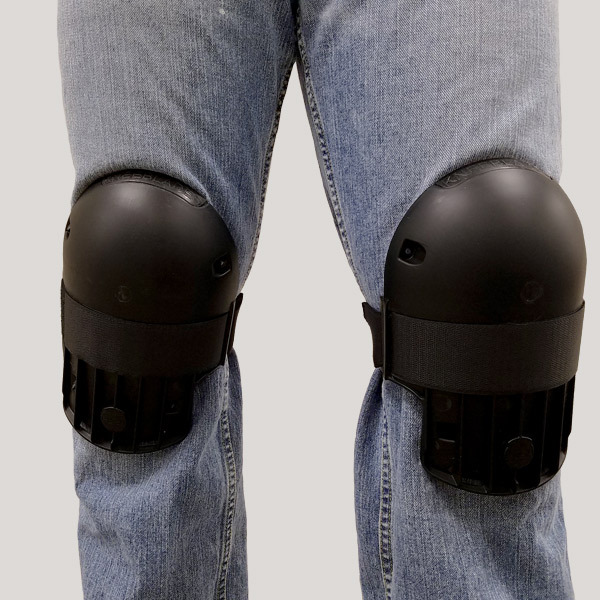 Knee pads are made of gel placed in plastic shell and equipped with a strap to attach it to your legs with a velcro. 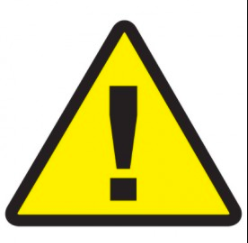 Straps are soft enough not to cause any discomfort when you sit on your legs and straps are squashed behind your knees. Kneeling is very comfortable, even for hours as thick gel provides the best cushioning. Unlike many other materials gel will never get compressed from hours of use so I expect that those pads will remain as comfortable for months and even years. 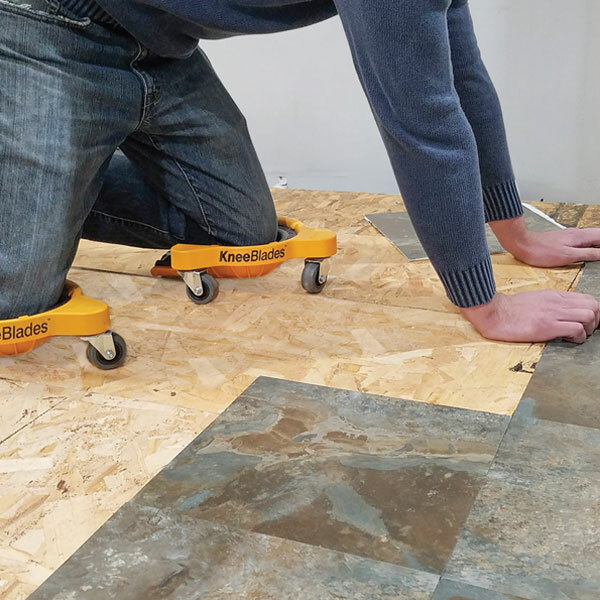 You can use those pads without the wheels but the revolutionary idea behind this product is to provide ability to easily move around without getting up. Pads click into the solid, about 1/4″ thick plastic wheeled base. 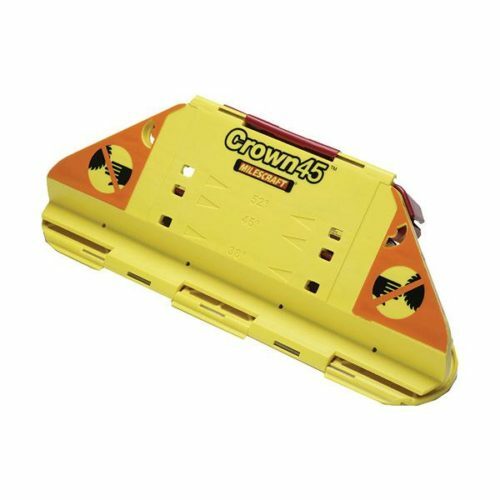 That base allows you to easily roll forward, backward or even 360 degrees around. It is very comfortable and well balanced and of course makes you mobile so you don’t have to constantly get up, which is very tiring if you have to spend long hours on the floor. 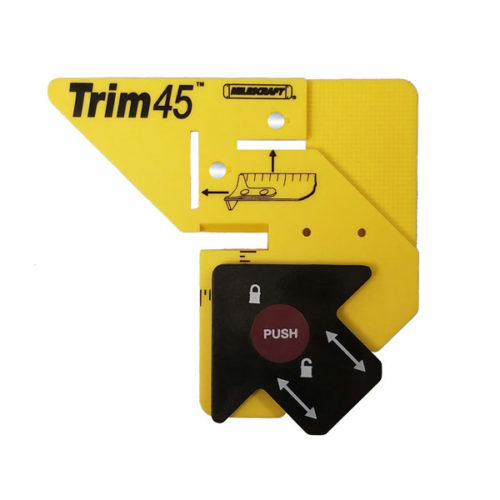 Apart from the comfort this product provides for the floor workers, I like that this product can be easily disassembled without any tools. That means that if any part would get broken you could replace it rather than be forced to buy the whole product. That means saving money for you and saving the planet for all of us. Disadvantage of this product is its weight. Knee pads alone are actually very light – 28 oz or 800 grams per pair, but the whole product is a bit heavy 6 lbs and 2 oz or 2750 grams per pair. 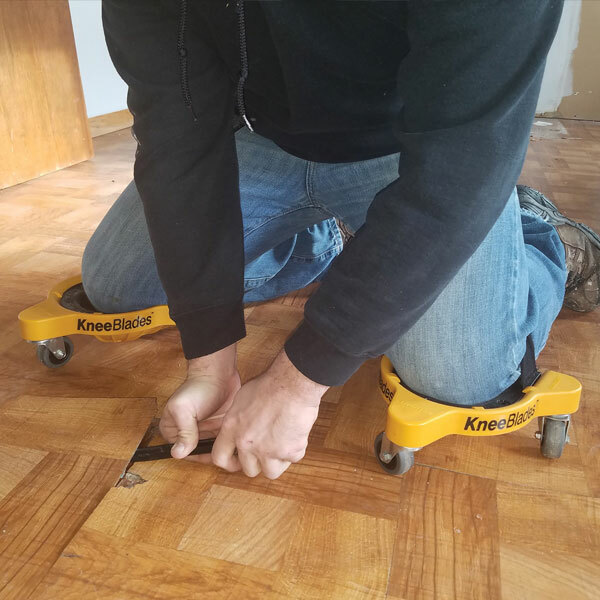 It doesn’t matter when you are on your knees but if you have to get up and walk, you need to remove the wheeled base. It is quickly done by pushing one button. Walking with gel pads alone however is comfortable. Need to be careful when lifting that one or the other blades doesn’t roll out from under you. Otherwise, it’s a great product. I love my knee blades! They are so comfortable. I haven’t used them on a job yet, only in my kitchen messing around! I love them! This was a gift and He LOVES them!!! Thank you!!! Rolls easily. Comfortable and stable. Haven’t had the need to use them yet, I can see them working well. Thanks. It’s a good concept but there should be adjustable straps from knee blade to your belt to take weight off knee strap also having to feed velcro strap through slot each time is a pain it should go to a triangular clasp which would hook on to a raised rivet. I thought Milescraft was great as they took care of a problem I had with order promtly. Amazing! My son is a contractor and he does not know how he lived without them! He says they make his job so much easier. It’d be neat if a Quick wheel lock could be invented for this neat device. This is a great company. the product was delivered very quickly. We had a problem with a P.O. box but was resolved. I want to thank the company for the great service. 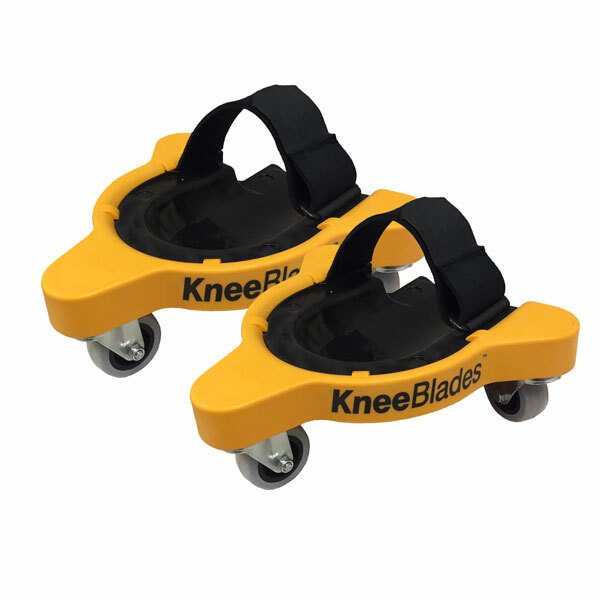 What is the maximum weight limit for KneeBlades? 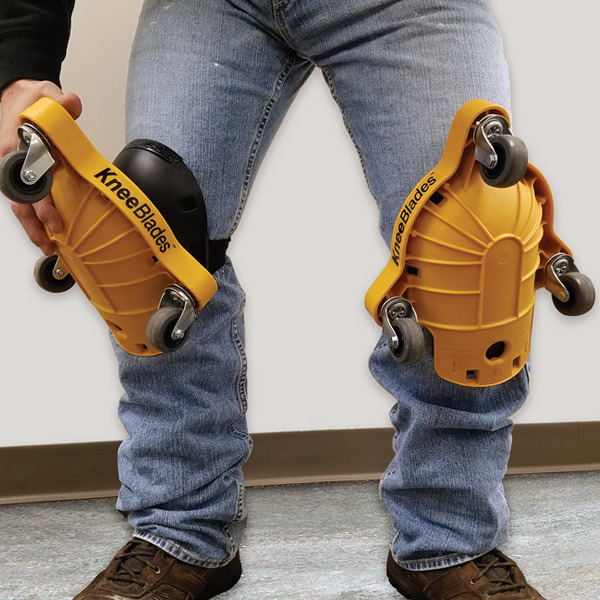 The KneeBlades have a load rating of 80 lbs. per caster and the maximum weight limit is 480 lbs.